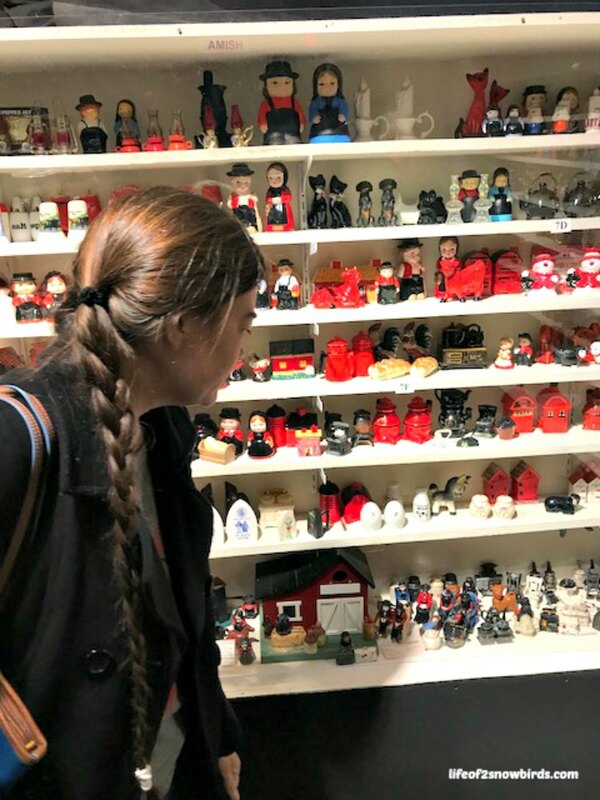 One of our favorite things to do when we are on a road trip is to find the most unusual, unique sights in the city that we are in. Well, maybe the better adjectives are oddball and wacky! 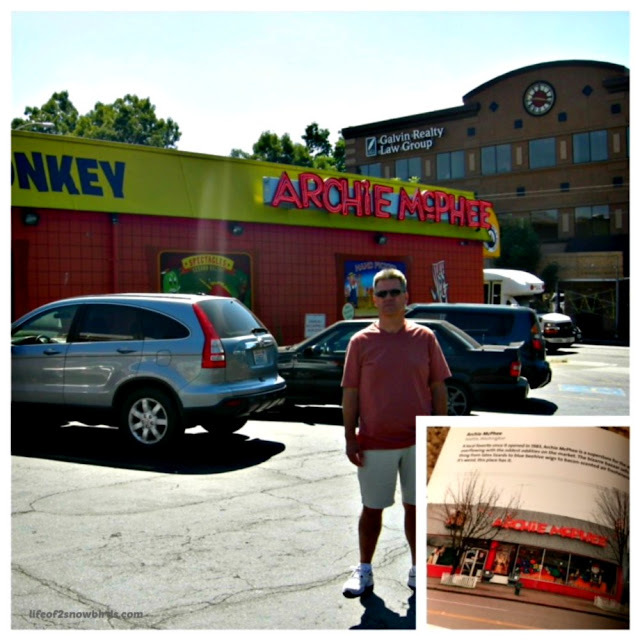 Our love for seeking out these wild and crazy attractions started when I bought the book, The Great American Road Trip, for Soko years ago. 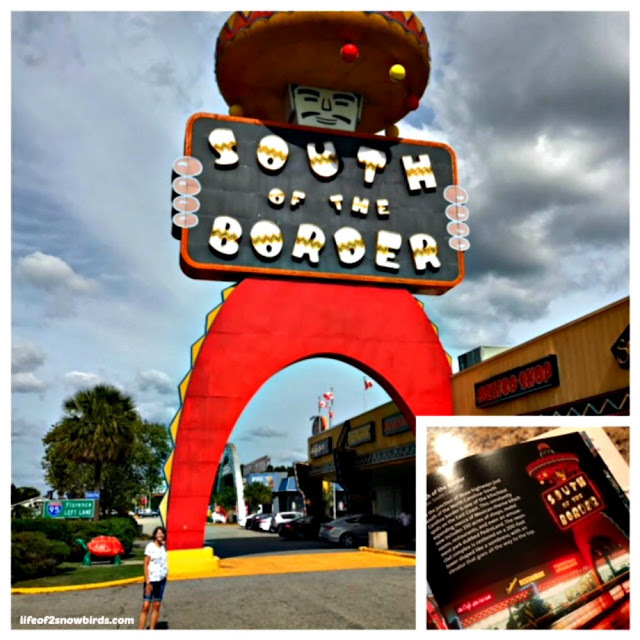 There is page after page of photographs showing the most fun things to find on a road trip. Now, before we travel to a new city, we consult this book to see if there are any weird things to visit. We have also found some of the quirkiest things by surfing the net so we don't forget to check there also before our trip. We put all this info into our GPS and off we go. We knew we had to find this guy when we went to Seattle. 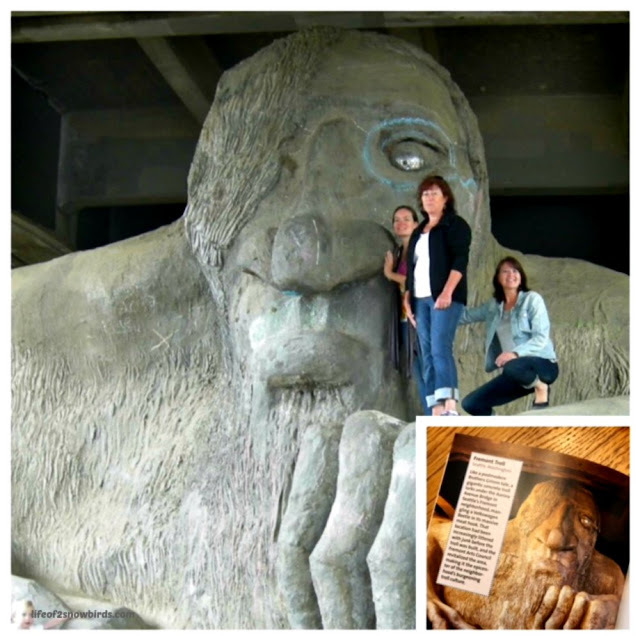 His name is Fremont Troll and the book told us he would be a gigantic piece of concrete, but we never expected him to be this huge! A friend told us about the Gum Wall, located near Pike Place Market. The pieces that we put on the wall, were cleared off along with 2,350 pounds of gum when the walls were totally washed off in 2015. It has since been accumulating gum again so make sure you bring a piece if you get a chance to visit Seattle. Be aware, though, that the wall is rated one of the five most germiest tourist attractions, second to the Blarney Stone. If you are hungry for rotisserie chicken flavored candy canes or pickle candy this is where you will find these yummy treats. Or maybe you've been wondering what it would be like to have lobster claws instead of hands. Or perhaps you know someone who has always wanted a man bun but he could never grow his hair long enough, or doesn't have enough. Guess what? You can get a clip on man bun from Archie McPhee's! In 1620, twenty men and women were executed for practicing witchcraft in Salem. 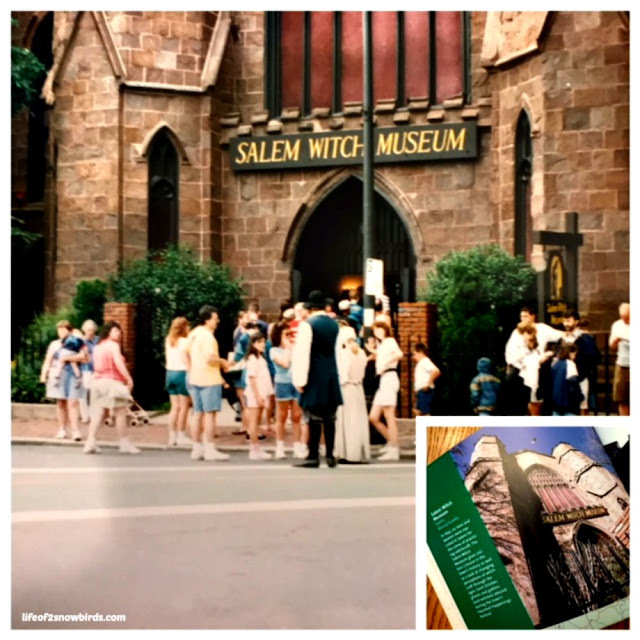 The museum is full of history of the area and "witchy" information. There are people who still practice witchcraft and we noticed that they all live in this town! 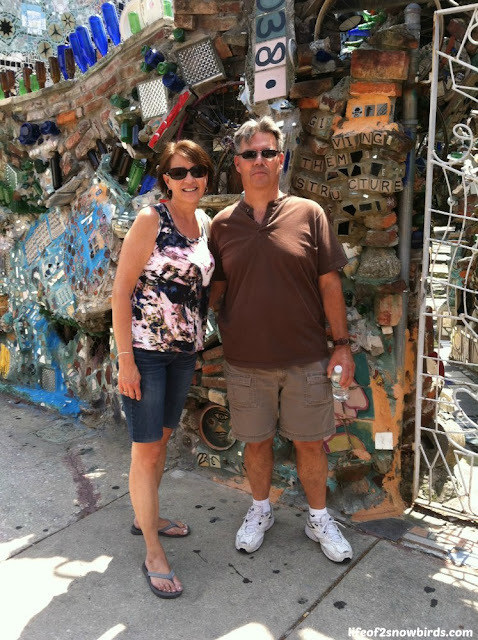 Our road trip book suggested a visit to the Mummers Museum in Philly, but we didn't get there. But we did get to Philadelphia's Magic Gardens. It was one of two unique, and a little kooky, sights we found on the web that we were curious to see when we took a road trip here. We were disappointed that we got to the Gardens a little too late to venture inside, but the wall outside told the story of what we would have been able to see inside. The art is made of nontraditional materials including folk art statues, found objects, bicycle wheels, colorful glass bottles, hand-made tiles and thousands of pieces of mirrors. The Freedom Sculpture was the other. 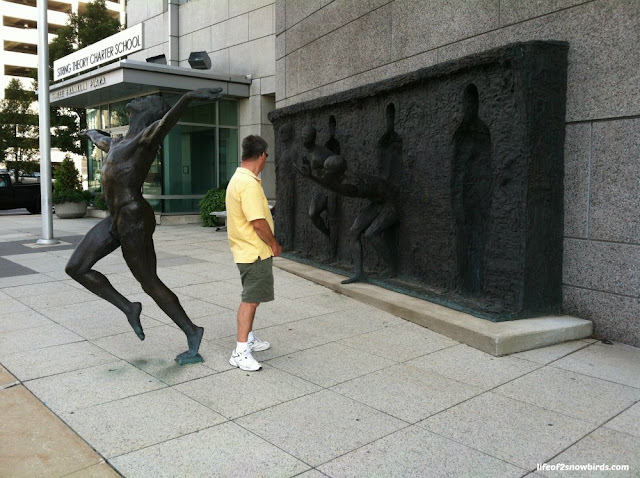 Zenos Frudakis, the creator of this very cool, although somewhat wacky, sculpture explains it this way. "The sculpture is about the struggle for achievement of freedom through the creative process." We really liked this very creative and thought provoking piece. It is not every day that you can see a sculpture escaping from their sculpture! If you are driving on Interstate 95 going towards South Carolina in either direction, you will see over 200 billboards featuring Pedro enticing you to stop at his hangout, South of the Border. The billboards get more frequent the closer you get to his place. Daughter Lisa's favorite is the one that says "You never sausage a place! You're always a wiener at Pedro's!" Of course a huge sausage is attached to the sign. Our kids loved stopping here on our way to Florida every year to visit Grandma and Grandpa. 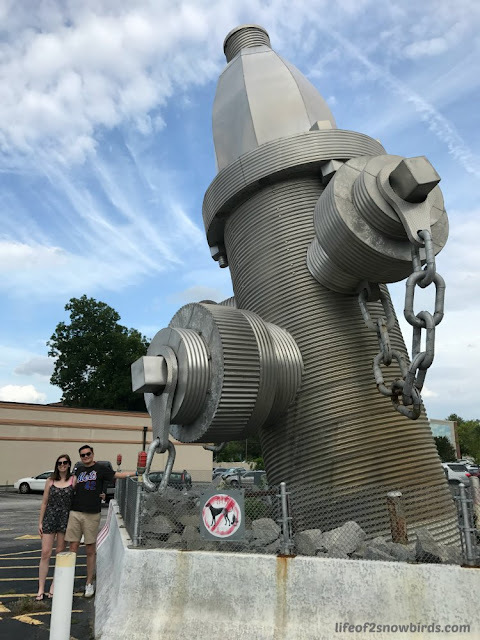 Our planned trip to see the Mets minor league team (and Tim Tebow, former quarterback turned baseball player), brought us to Columbus, South Carolina and to the world's largest fire hydrant. Joe found this gigantic piece of art when he was looking for other things for us to do while we were in Columbus. The hydrant is called "Busted Plug Plaza". It is 40 feet tall and weighs 675,000 pounds and can withstand a direct hit from a tornado! Apparently, Seattle is not the only place in the world that you can find a space needle! And just like Seattle's, you can take a ride to the observation deck 342 feet up to view the town below. 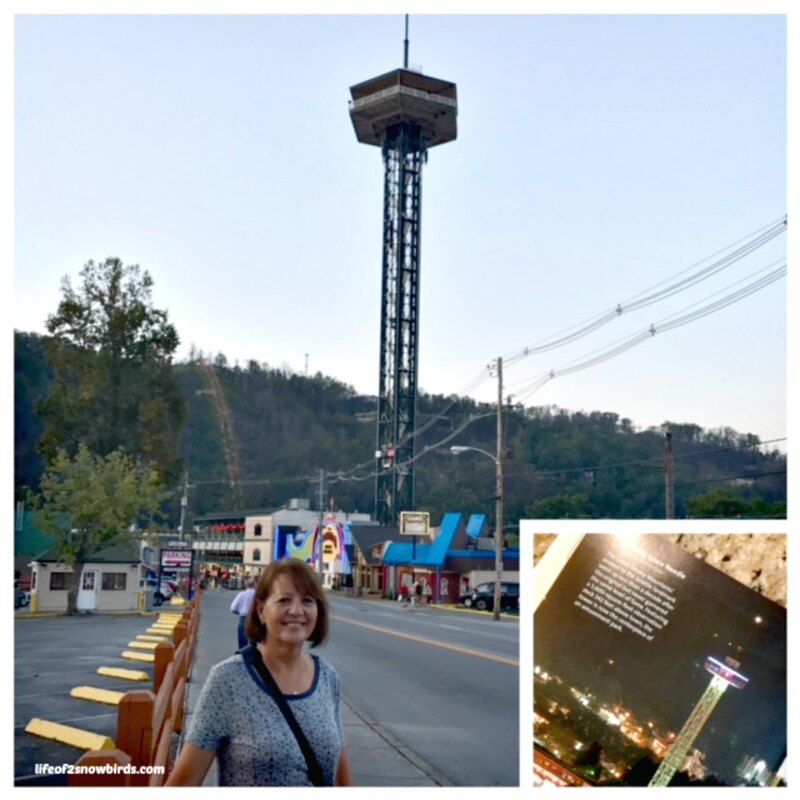 Lisa found this gem when she googled places to visit in Gatlinburg, Tennessee. She knew I was putting this post together and thought it would be a perfect addition. She was right. I don't know how The Great American Road Trip guide missed this one! This place had some of the wackiest salt and pepper shakers we have ever seen. We had so much fun pointing out the weirdest ones to each other. The salt shaker that looked like a bottle of ketchup could be a little confusing but shaking pepper out of a banana is really bananas! 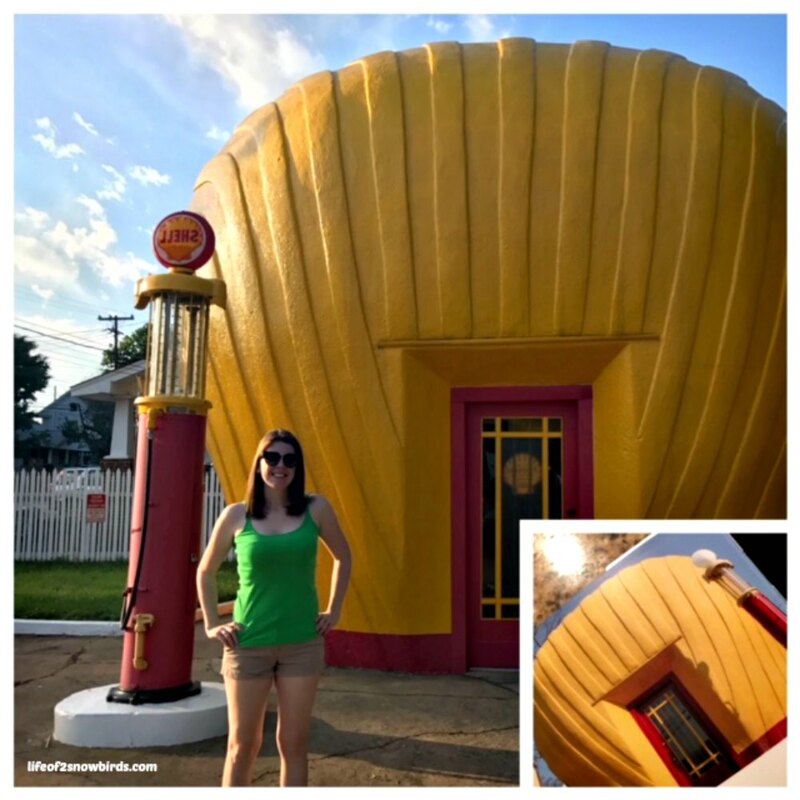 When Joe and Nicole told me they were going to stop in Winston-Salem on their way to our house, I asked them to keep an eye out for the shell-shaped gas station. They went out of their way a bit to find it and surprised me with a picture of Nicole standing in front. There were eight of these Shell stations built but this is the only one left thanks to Preservation North Carolina who turned the building into their regional office. And finally, Tregembo Animal Park near our home in NC. 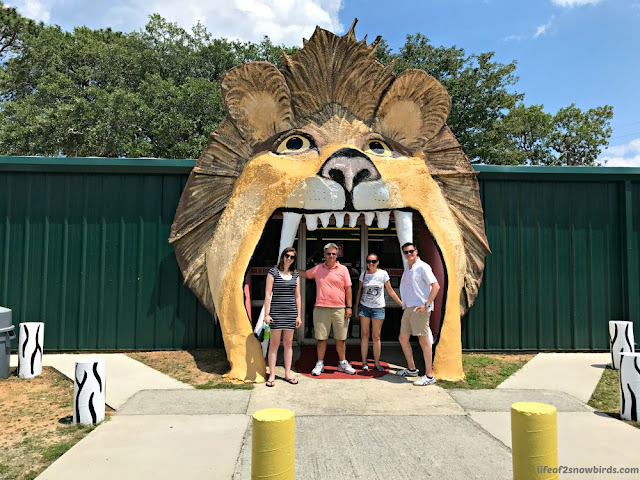 We had been passing this place for a couple of years but I knew one day we would have to stop in so I could take a picture of us getting eaten by a lion! Careful, those teeth look really sharp!! 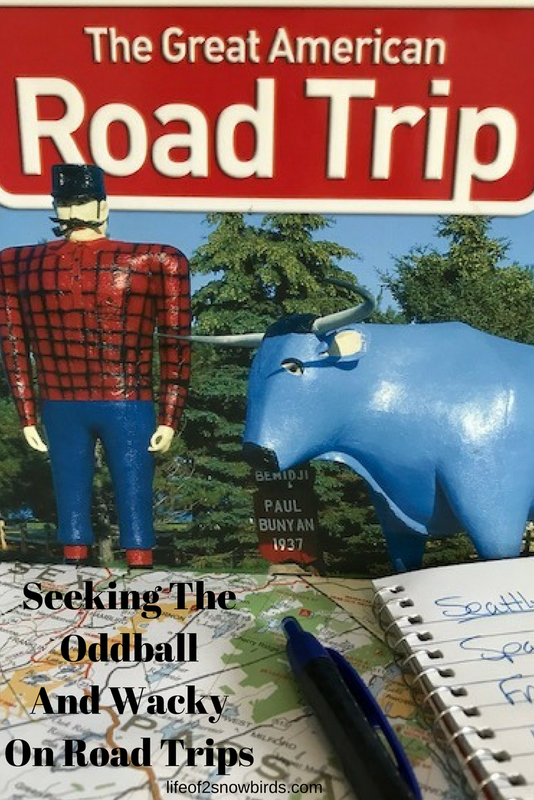 We would love to visit the oddball places in your town. Or if you have any suggestions of any wacky sights you think we would like to see, we would love to hear from you! 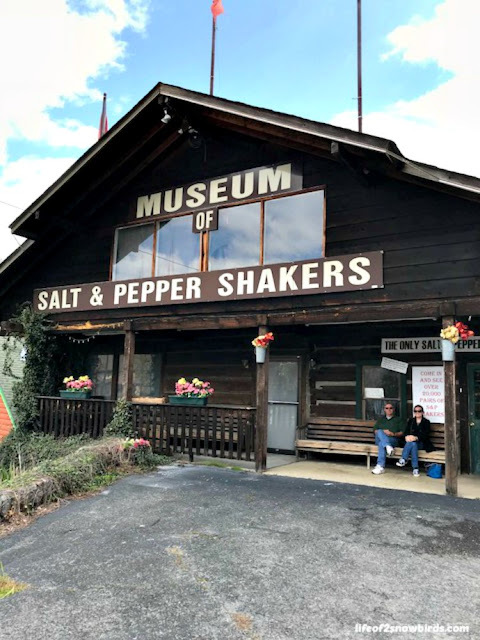 Ha I had no idea there was a museum for salt and pepper shakers. That must have been so much fun. But in general you look like you were having a blast. It started when the wife's salt and pepper collection took over their home. The husband rented this place out to have somewhere to keep the collection, then opened it up as a museum! Thanks so much for stopping by and for commenting on my post about Retirement!! I enjoyed reading your heart felt comment!! 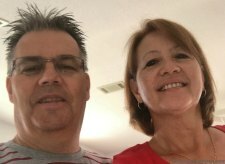 I've been reading some of what you have been posting about your upcoming retirement and have been enjoying it. Especially since you have a lot of the same opinions about it as I do haha! Anyway, what a wonderful and fun trip. I am going to your blog now to check out your pics! I've actually been to a few of these places as well. I love going to them because they are so unique and always have a story. Thanks for sharing on To Grandma's House We Go! I do believe the salt and pepper shaker museum looks awesome. It was so different and a lot of fun! I am laughing so hard. A museum for salt and pepper shakers. I was in Gatlinburg last fall and will be returning. I'll have to check this out. I love the Freedom Sculpture. I'll be heading to South Carolina in July. I've passed South of the Border, but I've missed Pedro. I'm going to stop this time. Thanks for sharing on Sunday's Best. You should definitely go. It was worth the $3.00!